Getting lost is a common problem for Alzheimer’s patients and their caretakers. Often when they go on walks they often forget their way and don’t remember how to return home. As a result, patients are at risk of injury, even death. In this context, location-based technologies are an incredible way to keep track of loved ones. 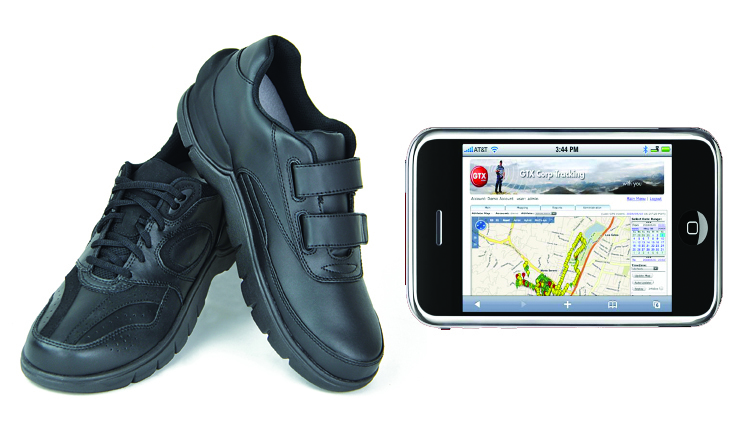 To resolve this problem, GTX Corp has developed the GPS Shoe, a pair of sneakers embedded with GPS technology that allow caregivers to track patients via a computer or smartphone. So why not simply provide smartphones to patients? As memory is an issue, a phone is more likely to be forgotten than putting on a pair of shoes. The only problem — the shoes are comically unattractive. Alzheimer patients may have problems with their memory — not their vision. For mainstream adoption, this product majorly needs the assistance of both product designers and UI designers for the interface. The shoes will retail for $299.